See more objects with the tag traditional, metal, craftsmanship, set. 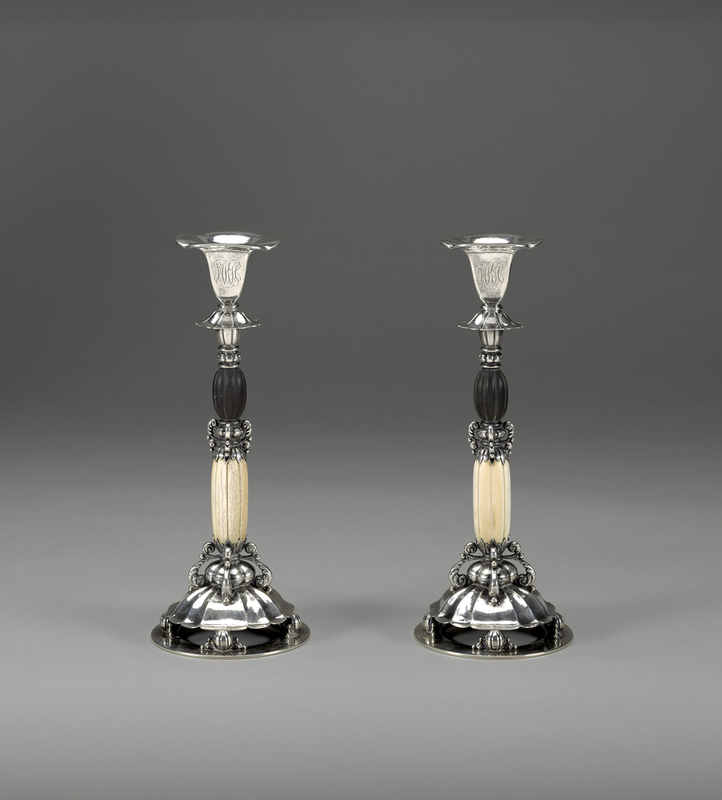 This is a Pair of Candlesticks from a Console Set. 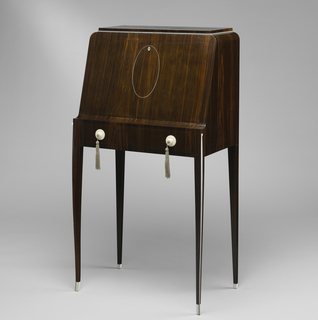 It was designed by Erik Magnussen. Its medium is sterling silver, ivory, and ebony. 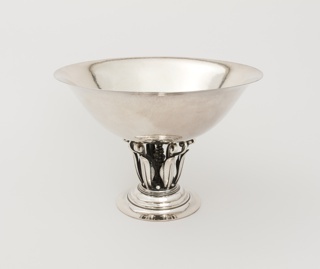 Made two years after Erik Magnussen established a studio in New York and was hired by Gorham, this handmade set, with only Magnussen’s markings, reflects his Danish origins. 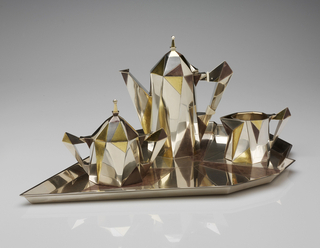 The set was published in 1929 when exhibited by Arden Studios of the Decorators Club, a female group devoted to elevating public taste through small exhibitions. 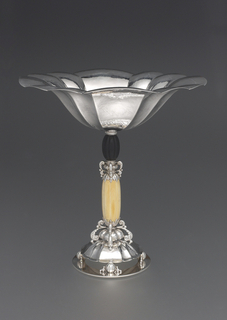 sterling silver, ivory, and ebony. chased, raised, cast, and applied silver. Gift of Ely Jacques Kahn. 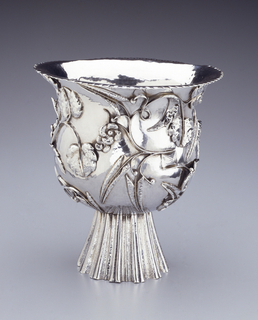 silver with gilding and ivory.